Recently I made a radical decision to go form iOS to Android; from iPhone 4S to LG Nexus 5, to be more specific. I’m still really happy with my various Apple products, but I am also extremely happy with the purchase of my first Android phone. I always thought it would be a bit difficult to go from iOS to Android, but after having used my new Nexus 5 for a couple of weeks, it is somewhat the other way around when I have to use my iPad or my old iPhone. Google and LG did a really great job with this phone, and the experience using it, is best described with words like: fast, clean and efficient – No lagging and no delays. 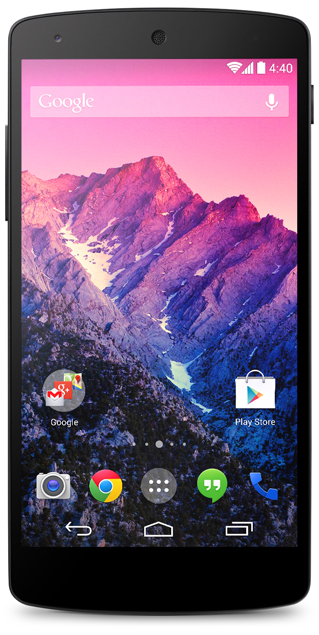 One really great thing about the Nexus 5 is the display which is particularly impressive – It is a 5″display with the resolution: 1080 x 1920 pixels. This results in a pixel density of 441 ppi (the iPhone 5s is 326 ppi). For those of you who don’t speak “nerd”: This is a really crisp and sharp display! The phone is currently only available in black and white, but a red version has been available earlier. There has been rumours about a yellow version too, but it hasn’t been released yet. Please let me know if you got any questions about the phone, and stay tuned for tips and tricks for Nexus 5 and Android in general. If you are an iOS-user, you might find these iOS tips and tricks handy.